I also love following artist blogs who share their process on the internet. An example of this is sleeplessportfolio. She posts pictures of her drawings as she goes and then posts the finished product. I also watch youtube videos of artist drawing famous people in a sped up time, my favorite is Heather Rooney. Watching her draw really helps me understand the process. Photos by: Theresa Pometto This work is licensed under a Creative Commons Attribution-NonCommercial-ShareAlike 4.0 International License. Hey there! This is a great way of explaining the amateur nature of Kleon's writing! I loved seeing the pictures you put up as well. Sharing your own work is hard to do sometimes, but I'm glad you love drawing enough to share with us. It's definitely better than anything I could do! I love the link to sleeplessportfolio especially, because it shows the process part that Kleon was writing about. Great work! 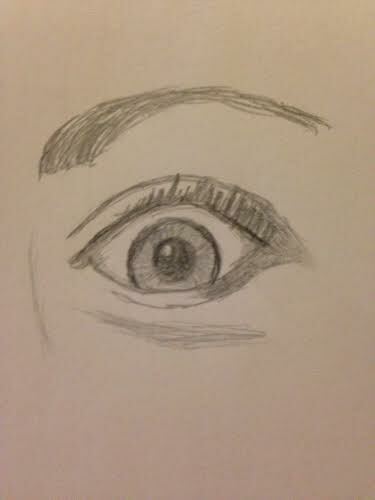 I love to draw also! I normally do works for projects like gifts or just something I want to hang up in my house. I like your drawings. 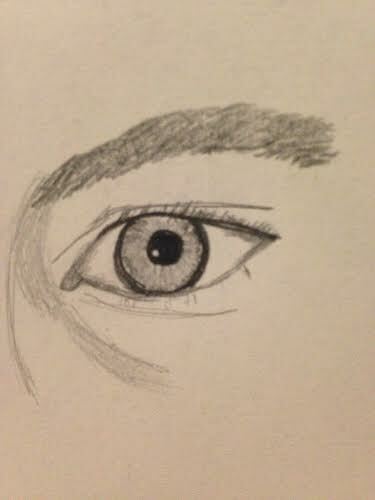 We I used to draw eyes on faces, I always thought they looked extremely fake because I could never figure out what details I was forgetting. Your's are really great!. Don't stop drawing! Draw your heart out! You can do anything tpom! Amazing blog, you will no doubt be an amazing portrait artist.